We selectively align with strategic technology partners in order to provide our customers solutions to complex Governance, Risk, and Compliance (GRC) problems by integrating sophisticated technologies that compliment and enhance our core service offerings. 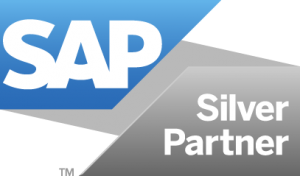 We are an accredited SAP Silver Partner, part of the tiered SAP PartnerEdge program. We consider ourselves to be the leading, and the only, truly global specialist in SAP Security and GRC. We work with SAP GRC sales and pre sales teams across the globe, supporting them in presenting solutions, providing live demonstrations of the products, our content accelerators and our rapid deployment solutions. We are partnered with Onapsis, a leading provider of solutions to protect ERP systems from cyber-attacks. NextLabs provides data-centric security software to protect business-critical data and applications. NextLabs has some of the largest global enterprises as customers, and has strategic relationships with industry leaders such as SAP, Siemens, Microsoft, and IBM. NextLabs is privately held and headquartered in San Mateo, California. Greenlight Technologies is the pioneering leader in enterprise business controls monitoring – a new-breed solution that optimizes your ability to monitor and manage the risk and compliance processes for user access and transaction activity across all enterprise applications, systems, and services – whether they’re on-premise, hosted, or in the cloud.